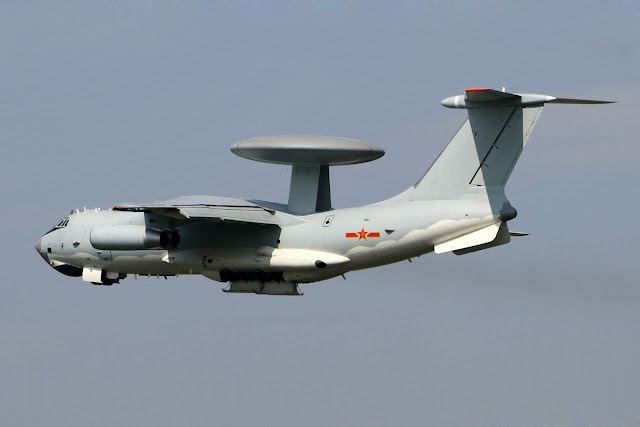 China's latest airborne early warning and control (AEWC) aircraft will debut and lead the AEWC aircraft formation in the Sept. 3 military parade in Beijing, according to a military source. The medium-sized aircraft is a multi-sensor unit, which can support surveillance missions and perform command and control maneuvers, said pilot Song Xianping, which will be flying in the parade. The large-sized AEWC aircraft, also produced in China, will lead all ten air formations in the coming V-Day military parade, the second time it has done so since in the 60th anniversary of New China's establishment in 2009.